Introduction: Having expertise in accounting is not enough to be an effective accounting educator. Knowledge about learning theories, learning styles, different types of assessment, and the variety of available teaching methods, is also fundamental to be a good accounting educator. Objectives: Analyse which learning theories can be applied in accounting education and how they can help accounting educators to improve the learning process according with their competences. Methods: Literature review about the professional accountant competencies and analysis of the learning theories application in accounting education. Results: Based on certain learning theories (behaviourism, humanism, cognitivism, social cognitivism, and constructivism), provide a set of recommendations to accounting educators in order to improve the learning process. 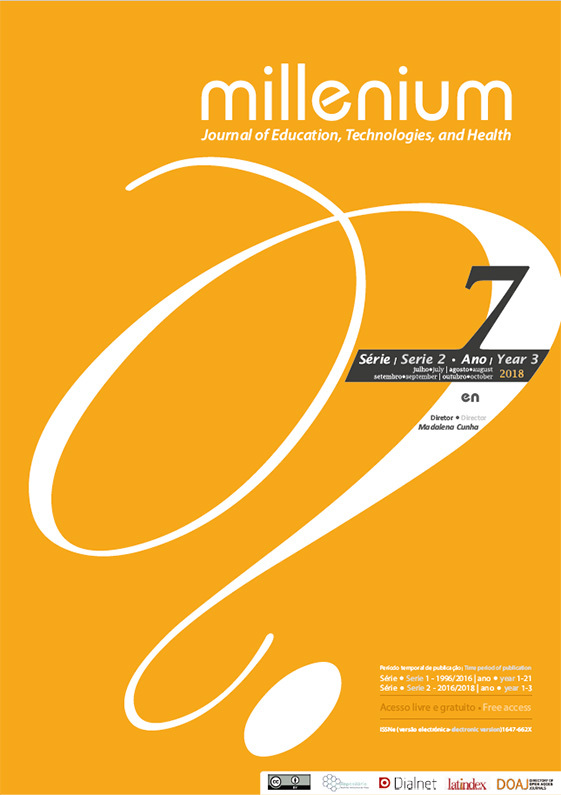 Conclusions: Even if an educator has a very good academic background, and significant professional experience in the teaching area; even if he uses innovative teaching technologies, if the educator does not listen learners; if the educator does not understand that each individual learner has a different background, cultural experience and way of learning; if the educator does not understand that there is no standardized way to teach, this educator will not succeed. Baker, R. E., Simon, J. R., & Bazeli, F. P. (1987). Selecting Instructional Design for Introductory Accounting Based On The Experiential Learning Model. Journal of Accounting Education, 5, 207-226. Bates, B. (2016). Learning Theories Simplified... and how to apply them to teaching. London. Chaiklin, S. (2003). The Zone of Proximal Development in Vygotsky's Analysis of Learning and Intruction. In A. Kozulin, B. Gindis, V. S. Ageyev, & S. M. Miller, Vygotsky's Educational Theory in Cultural Context (pp. 39-64). Cambridge: Cambridge University Press. Chen, C. C., Jones, K. T., & Moreland, K. (2014, August). Differences in Learning Styles - Implications for Accounting Education and Practice. The CPA Journal, 46-51. Duangploy, O., & Owings, G. W. (1994). Experiential Learning Theory: An Application with Individualized Problems on Foreign Currency Restatement. In J. O. Burns, & B. E. Needles Jr., Accounting Education for the 21st Century - The Global Challenges (pp. 238-246). Oxford: Pergamon. Ertmer, P. A., & Newby, T. J. (1993). Behaviorism, Cognitivism, Constructivism: Comparing Critical Features From an Instructional Design Perspective. Performance Improvement Quarterly, 6(4), 50-72. Fatt, J. P. (1995). Learning Styles in Accounting Education. Asian Review of Accounting, 3(1), 25-58. Hassall, T., Joyce, J., Arquero Montaño, J. L., & González González, J. M. (2010). The vocational skill priorities of Malaysian and UK students. Asian Review of Accounting, 18(1), 20-29. Helliar, C. (2013). The Global Challenge for Accounting Education. Accounting Education: an International Journal, 22(6), 510-521.
International Federation of Accountants. (2017). Handbook of International Education Pronouncements. New York: International Accounting Education Standards Board. Kirkwood, A. (2014). Teaching and learning with technology in higher education: blended and distance education needs "joinedup thinking" rather than technological determinism. Open Learning: The Journal of Open, Distance and e-Learning, 29(3), 206-221. Knowles, M. S. (1975). Self-directed Learning. New York: Association Press. Lawson, R. A., Blocher, E. J., Brewer, P. C., Gary, C., Sorensen, J. E., Stout, D. E., Wouters, M. J. (2014). Focusing Accounting Curricula on Students’ Long-Run Careers: Recommendations for an Integrated Competency-Based Framework for Accounting Education. Issues in Accounting Education, 29(2), 295-317. Lucas, U., & Milford, P. (2009). Key aspects of teaching and learning in accounting, business and management. In H. Fry, S. Ketteridge, & S. Marshall, A Handbook for Teaching and Learning in Higher Education - Enhancing Academic Practice (3rd ed., pp. 382-404). New York: Routledge - Taylor & Francis Group. Merriam, S. B., & Bierema, L. L. (2014). Adult Learning - Linking Theory and Practice (1st ed.). (Jossey-Bas, Ed.) San Francisco. Patel, N. V. (2003). A holistic approach to learning and teaching interaction: factors in the development of critical learners. International Journal of Educational Management, 17(3), 272-284. Schunk, D. H. (2014). Introduction to the Study of Learning. In D. H. Schunk, Learning Theories - An Educational Perspective (pp.1-28). London: Pearson Education Limited. Tan, L. M., & Laswad, F. (2015). Academic Performance in Introductory Accounting: Do Learning Styles Matter? Accounting Education: an international journal, 24(5), 383-402. Weygandt, J. J., Kieso, D. E., Kimmel, P. D., & DeFranco, A. L. (2009). Hospitality Financial Accounting (2nd ed.). New Jersey: John Wiley & Sons. Wynn-Williams, K., Whiting, R. H., & Adler, R. W. (2008). The Influence of Business Case Studies on Learning Styles: An Empirical Investigation. Accounting Education, 17(2), 113-128.